HUMBOLDT – The November ballot measure that will allow counties to regulate marijuana and gain tax revenue from its sale is opposed by the state association that represents counties. At the Sept. 14 Board of Supervisors meeting, Supervisor Mark Lovelace reported that the board of the California State Association of Counties (CSAC) voted to oppose Proposition 19, the Regulate, Control and Tax Cannabis Act, the previous week. Lovelace explained that a majority of CSAC board members believe Prop. 19 falls short on defining regulation. “The board took a position to oppose mostly due to the uncertainty as to what it will really mean,” he said. That action follows a similar one by the board of the California League of Cities last July. Proposition 19 allows anyone 21 years old or older to possess up to an ounce of cannabis and cultivate it for personal use in a 25-square-foot area. It also conditionally allows its commercial sale. The measure does not describe a specific regulatory process for commercial activity. Instead, it allows cities and counties to adopt ordinances that would set forth the rules for cultivation, distribution and taxable retail sales. 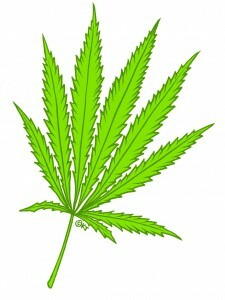 It would remain illegal to buy it and sell it in cities and counties that choose not to regulate it. Leaving the rule-making up to local governments has been a target of Prop 19 criticism. “There is no regulatory framework – that provides a tremendous amount of uncertainty and discomfort for a lot of folks,” said Lovelace. He added that “it’s just impossible to know, it’s entirely conjecture as to how it will be implemented. That can only happen “if the legislature takes this up themselves,” Lovelace continued. Prop 19 would allow the state legislature to define regulations for commercial production of marijuana whether cities and counties do it or not. Lovelace said the CSAC board voted to recommend that the legislature deal with regulation. Though not mentioned by Lovelace in his report, another aspect of uncertainty is the effect of federal law. Proposition 19’s taxation provision requires licensed marijuana distributors to pay all taxes, including federal taxes, but it’s unclear how that can be done for sales of a substance that the feds say is in the same category as cocaine and heroin. A state Legislative Analyst Office summary of Prop 19 states that federal prosecution would interfere with the measure’s goals. “Thus, the revenue and expenditure impacts of this measure are subject to significant uncertainty,” according to the LAO summary. But it also states that if a commercial marijuana industry is successfully established, state and local governments could “eventually collect hundreds of millions of dollars annually” in additional revenues. Also of note, the measure does not change the penalties for providing marijuana to minors. But it sets forth an amendment to current law, stating that anyone 21 years old or older who furnishes marijuana to 18- to 20-year-olds could be jailed for up to six months or fined up to $1,000. This entry was posted on Tuesday, September 28th, 2010 at 9:54 am	and is filed under News. You can follow any responses to this entry through the RSS 2.0 feed.